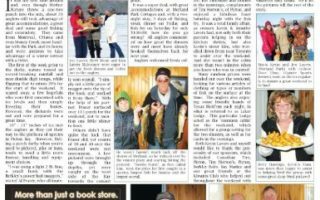 The Quinte Sports Review’s Martin Durkin wrote an article on Merland Park and Pete Bowman, co-host of Fish’n Canada, who likes to spend his time at Merland Park whether it is to film an episode for his show or vacationing in his free time. 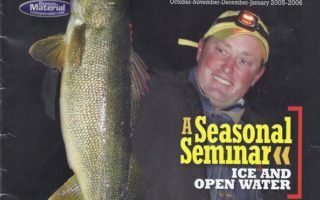 Cover of In-Fisherman’s Walleye Insider. 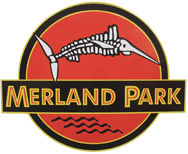 Jeff Simpson, the photographer came to see us at Merland Park and do some scouting for a future show. 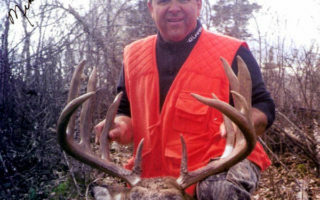 Here is a signed picture of Mike Christopher and his prize buck that made him the Boone & Crockett record holder for biggest buck in Ontario. He is living in Hawaii and is an awesome fishing guide. 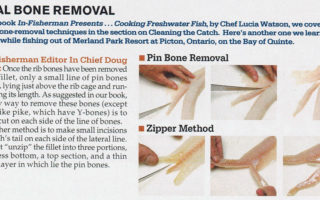 If anyone is interested in booking a guide with Mike let me know. 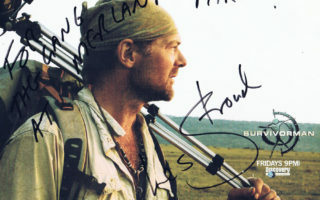 Les Stroud, Survivorman, came to spend a week at Merland Park and autographed this photo of him for us and generously included some nice swag to give away to our customers. 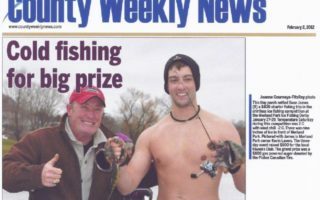 Merland Park’s 3rd Annual Ice Fishing Derby January 27, 28, 29 in 2012. Tickets are $200 per person. 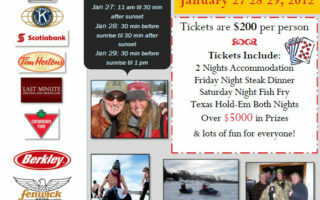 Tickets Include: 2 Nights Accommodation Friday Night Steak Dinner Saturday Night Fish Fry Texas Hold-Em Both Nights Over $5000 in Prizes & lots of fun for everyone. 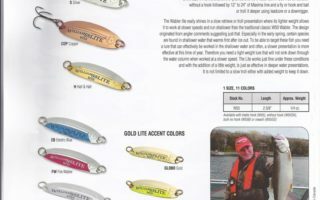 The new 2011 catalog for Williams Lures features a picture and write up about Kevin Lavers and Merland Park. 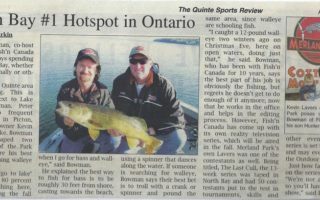 Kevin has had lots of success using Williams Lures and has landed many trout and salmon on them. 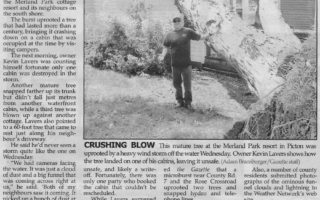 Quinte Sports Review does article on Merland Park.